SOTORAS Sotoras was once a rarely visited, uncharted island, strangely not even the nearby goblins or trolls dared to stake a claim on this archipelago. The island’s lush, green woods were left largely untouched and unexplored through the ages. A century prior to the first opening of the Dark Portal, three Tirasian vessels flew beneath the banner of House Springfield, landing upon desolate shores. The leader, Admiral Sotor Springfield, recently elevated into the position of Lord of his House. The young lord, seemingly eager for conquest to extend the influence of his kingdom and more importantly his house. His lordship claimed the verdant land, thus dubbing it ‘Sotoras’ after his fervent legacy . Two of the vessels used on the initial voyage were dismantled to provide materials for the colony’s foundation. The third ship, Jade of Kul’Tiras, was preserved to ferry supplies and keep the shores of Sotoras safe from imprending threats. While the island was more or less detached from the heart of Azeroth, in the coming decades proved prosperous, emerging as a notable shipping hub, granting easy access to lumber and provisions for the occasional Tirasian patrols and the more common goblin vessels. Due to the increased traffic, Razorbranch and Pirate raids became more common, preying on fortunes of Sotoras. One such skirmish (don’t want to repeat “raids and raiders) heralded a mortal wound unto Lord Sotor, who fought valiantly in effort to stave off marauding Troll raiders that defiled the waters of his beloved isle. Though he survived the battle, death tolled in his slumber. His legacy, however, was honored by his son. After Lord Sotor Springfield’s death his son Beauregard’s reign was imminent, donning the mantle to continue rule of Springfields over the colony, now a burgeoning island settlement. Although Lord Beauregard was not the same daring sailor as his father was, he tried his best nonetheless. Under the rule of the new leader the fortified keep ‘Standfast’ was constructed, which saw the settlement properly protected against any future raiders of any stripe. An expansion into the nearby forest soon followed small homes and the Chapel of the Light. However, construction and work on further expansion came to an abrupt end when when a hurricane struck the island, bringing tidal waves and seismic shock amidst the downpour. Countless lives were lost in the storm, some two years before the First War, but they did not know then that the storm would have far more dire consequences. This catastrophic event saw the death of Lord Beauregard Springfield and much of his court, which threw the already panicking kingdom onto the brink of madness. Mist crept in and the ocean was suddenly unfamiliar, as the citizens of Sotoras managed to investigate their plight, they quickly discovered that they were no longer in familiar territory. Sotoras had been dragged into the Doldrums. When Lord Beauregard Springfield II claimed Lordship after his father’s demise, it was his young daughter Abigaille who managed to calm the people of Sotoras with compassion and understanding, her training in the art of the light serving her well. It was in these tense times that Lord Springfield II decided to gain some better understanding of the Doldrums where they were trapped within. Despite the trepidation of his advisors, he left the leadership of the island to his daughter of 9 and his trusted advisor, Joras Vormath. A single year passed before Lord Springfield II returned, seemingly fruitless in his efforts to find a way out of the Doldrums The expedition saw Beauregard telling tales of ancient elven cities, looming black towers, salt-blasted swamps, and worse- but he had returned with treasures and some curious new companipons, chief among them one Ezthess Artzruni.It was assumed she had been taken on as a passenger or a guide of some sort, before the Lord named her as a new advisor on their return home, most of these questions remained unanswered however.. Although the Lord Springfield II had returned, the island did rush into another age of prosperity as it had under his father. The ruined buildings remained ruined, the chapel was left untouched, and the Lord seemed content to leave Springplatz in the hands of local authorities as he and his new advisor, the now-named court wizard Ezthess seemed to spend more and more time alone in the keep. The next two decades saw the settlement’s slow decline, isolated in the Doldrums and and crippled by the consistently absent Lord Springfield II. The ruined church and watchtower were abandoned and the forest crept in around the shrinking island community, resentment and apathy set in among the populace, a general malaise that infected even the clergy and the Lady Abigaile. And still, the Lord tinkered away hidden in his keep. It was some 21 years after the First War when a strange ship approached the island, not Tirasians, or even another kingdom, but goblins, humans, and a host of other races, those exploring the Doldrums from a place called Silver-Eye Island. The sudden discovery that they were not alone shook everyone on Sotoras but the Lord Springfield II, who gave their guests a weak greeting. Despite their Leader’s begrudged hospitality, the people of Sotoras greeted the thought of company with jubilation and awe. Although the two island settlements were nearly polar opposites, common need made them trading partners, and the Lady Abigaile purchase some small territory on the island in the following year. The long standing rut Sotoras had dwelled in began to fade from memory over the passing decade, despite the lack of leadership of Lord Springfield II, prosperity softened the uncertain times. Nothing good ever lasts in the Doldrums, however, and on one sunny day, the world quaked and ripped asunder. Deathwing came, his impact on Azeroth felt far to the reaches of the Doldrums, dredging back memories of the hurricane as the sea swelled and the port town was rattled by tidal force. The Jade of Kul’Tiras was smashed on the rocks and as preparations were made by Lady Abigaile Springfield to retreat to the keep, they were met with something else entirely. Lord Beauregard Springfield II was waiting at the keep’s entrance with a weapon that none had seen before, a twisted sabre that shown cold blue in his hands. The aged nobleman had never been a fighter and yet, with that blade raised, he called on the shipmaster to turn the keep’s defenses on the township of Springplatz. The Lord attacked the people of Sotoras with his court wizard Ezthess and the Captain Cidolfus, but worse than that- the slain rose from their bodies as wretched, undead monsters. Panic and discord followed, with the Lady Abigaile and her closest followers fleeing to the only ship remaining afloat after the Shattering- which was rapidly taking on water and promptly fled Sotoras, leaving behind nearly three quarters of the population. The ship barely managed to arrive at silver-Eye Island before it took on too much water to stay afloat, and they now find themselves in the ruined holdings of the Lady Abigaile, attempting to understand what had happened. Reports from Sotoras claim that the island is cold now, eerie, and filled with roaming undead. Major Characters Lord Beauregard Springfield II - The last ‘true’ lord to rule over Sotoras. After Sotoras was pulled into the Doldrums, he left to seek a solution to his people’s plights, only to return forever changed. Years of seclusion from his people, his family, and the outside world became the norm for the noble until the day Deathwing came. When the Shattering touched Sotoras, he did not rally his people, but instead turned on them with his closest advisors and a veiled, cursed sword- raising them undead. He remains now on Sotoras with a cast of wretched dead, plotting in secrecy. Captain Garrett Cidolfus - An accomplished ship captain and a reputable duelist, after the death of the Beauregard I, he swore his loyalty to Beauregard II. He had joined the Lord in his first expedition into the Doldrums as a young man. Just like the Lord, he too returned changed,detached and cold. Court Wizard Ezthess Artzruni - There’s not much known about her, other than she’s been in the Doldrums longer than anyone from Sotoras. Supposedly, once she was a Dalarani mage, but later was hired as a guide by the Lord. Her true origins, and motives are unclear. Many of the survivors blame her for the undead uprising and their Lord’s madness. Bishop Farnobius Hand - He arrived on the very last Tirasian ship to ever arrive to the port of Sotoras, he was sent to occupy the soon-to-be-built chapel and thus tend to the flock of Sotoras. Sadly the catastrophic events on Sotoras foiled this, but the wizened priest still did his diligent work. On the day of Sotoras’ fall, he stayed behind to help those who weren’t quick enough, leading them to his unfinished chapel to grant them a chance for survival. Lady Abigaille Springfield - The daughter of Lord Beauregard Springfield II, a middle-aged woman and a disciple of Farnobius Hand, she is a benevolent and kind woman, known and loved. In her father’s long periods of absence, she would do her best guide and reassure the people of Sotoras and, since her father’s sudden change to a fanatical necromancer, has become the leader of those that remain. Advisor Joras Vormath - A longtime friend of Lord Beauregard Springfield II, he was made advisor when the Lord came to power. He was kind enough to watchover Lady Abigaille when the Lord departed to explore the Doldrums and after the day he returned, he found himself cut off from his long time friend. Despite falling to the wayside after the Lord took to his Court Wizard, Joras instead focused on guiding the young Lady Abigaille. to this day, they are close friends and he continues to aid her in these trying times. Captain James Thompson - A younger soldier, James was a fearless soldier who earned distinction in dealing with the creeps and critters on Sotoras as well as some of the more shady characters on Silver-Eye Island. He was made to be captain on Lady Abigaille’s request and has followed and protected the Lady ever since. Notable Locations Standfast, the Keep of House Springfield - Found on the Northern side of the isle. In better times, the imposing keep offered safety and certainty for both the people and the Springfield family, but after the withering hurricane and the Shattering the keep is stands damaged, now only the mad lord and its undead retinue dwells there. Springplatz, Citizen Quarter of Sotoras - Once it was the landing for the first colonists, but over the years the row of tents grew into a street of finely built houses, occupying most of the south-western corner of the isle. When Lord Springfield II turned on the people of Sotoras canonfire and cursed weapons destroyed most of what once was. Firstlight, Ruins of the Light’s Chapel - A set of ruins in the Southeastern woods of Sotoras, the rubble stood once as a sad reminder of lost times, but now, it represents holy ground and safety from the dead. Originally, it’s construction began after Beauregard Springfield I took his seat on the island, progress was slow but the design was immaculate. When the hurricane struck, the project was abandoned. It has recently been taken advantage of by those still alive on Sotoras. Wreckage of the Jade of Kul’Tiras - The Shattering saw the destruction of the aged ship that had carried the first colonists to Sotoras. A proud, Tirasian ship now stands as a beachmarker, with salvage seeming impossible. First Watchtower - One of the first buildings made on the island, the First Watchtower was built to act as a garrison and a post for the protection of the citizens of Sotoras. While it provided some aid against the attacks by Razorbranch and pirates, its use was superseded by Standfast Keep and after the damage from the hurricane, it was abandoned. Faust Brewery - Built adjacent to the keep, the brewery crafted local favorites like Sotoras Firewater and Doldrums Grog. Perhaps one of the more cherished location for the people of Sotoras, its memories were plagued with stories of strange visitors to the Brewery in the dead of night. Even now, the local survivors claim to see the dead come and go from the simple warehouse. Notes A well balanced, temperate island- it was originally far west of the Eastern Kingdoms and claimed by Tirasian colonists, looking for a new home. Touched by human architecture and design, the beauty of Sotoras at its height was in its simple layout and effective design. In recent times, the touch of undeath and shadow has made the once colorful island bleak and cold- a stark warning to travelers. The island is rich in resources of all types, but few deem the risk of battling undead worth it for simple treasures. Taking its name from the ancient monoliths that dot the island, the Isle of Menhirs is haunted by wild arcane energies and a legacy of ancient magic. Once a bastion of the Highborne, their ruins still remain as testament to their folly. Long broken and lingering with corruption, no one is certain if destruction came from within or without, but the aftermath affects the travelers of the Doldrums to this day. It’s known history is only as old as Silver-Eye Island, when the first civilized territory was dragged into the Doldrums. The Isle of Menhirs was an island rich in highborne trinkets and exotic creatures, which were plundered rather mercilessly when travelers from the Goblin port first arrived. Very quickly, the errors of their ways were realized, when disembodied spirits rose from the ruins and slaughtered the would-be pillagers. A handful of the looting party survived, but it was enough to offer up advice to would-be travelers- to avoid the island’s ruins, for those things that died here long ago still live on, vigilant and vengeful. In more recent times, bold folks of all stripes, some elvish, some not, have come, seeking some connection to the world outside. Rumors swirl about the broken leylines being some key to the Doldrums, others say that the spirits here know the secrets of the Doldrums, still others adamantly declare that the highborne and their enemies still live on the island to this day. Only one thing is certain, the island is beautiful, rich in material wealth, and utterly haunting. The storied spectres still haunt the island in the dead of night and still others have claimed to have witnessed demons stalking the bluffs. Some things are best left to the past. Major Characters Lunessa Farstar - ‘Explorer’ Farstar, as she likes to be called is a member of a group of Highborne that left Eldre’Thalas and the Shen’dralar five years ago. While they spent much of their time on Silver-Eye, the group jumped back and forth to the Isle of Menhirs, seeking to understand the lonely island. During their travelers, many were slain by the spirits of the island or by clashing gangs of adventurers, leaving Lunessa with only a handful of her Highborne kin around- where they now study the island from the safety of the shoreline. She is kind enough to ferry travelers from the island and elsewhere. Kerr the Reaver - Once a rival to Lunessa and her Highborne clan, Kerr the Reaver was forced to work with them when he was attacked by wretched spectres amid the ruins. His Orcish blood draws hesitation from some of the Highborne, but his combat prowess has made him a necessary ally as they attempt to maintain a camp on the island. Aristaeus Whitespire - A Highborne artificer from Eldre’Thalas, he departed with a group of elves from Eldre’Thalas nearly five years ago before finding himself in the Doldrums. While much of his group is dead, he remains on the Isle of Menhirs with them, doing research into the aged island to unravel it’s secrets. Comus Kir’Madune - A Highborne sorcerer and the leader of the thinned group of Highborne that dwell on Elder’Thalas. An incredibly powerful and aged spellcaster, he protects his mismatched followers as they unravel the mystery of the island. Suspicious of those outside the group, he still seems to engage in trade and travel with others- though it appears to be out of necessity. Notable Locations The Walk - The old harbor on the Isle of Menhirs is long broken, but fragments remain, dancing up the plains and all the way to the older ruins. The Walk was once the lifeline of this vibrant Highborne settlement, now in ruins. Debris, aged giants, and overgrowth litter the grounds. Redwatch Sump - Under the eerie gaze of a dreaming giant, the Redwatch Sump is a murky, brackish corner of the island. With thick grasses, thick mud, and the creeping taint of fel magic, the Sump seems to be a favorite for some of the more feral wildlife on the island. Field of Menhirs - The place for which the island draws it’s name, the Field of Menhirs is littered with aged carved stone, old ruins, and bushcover. Beautiful and mysterious, many wonder if it was grounds for a garden, future construction, or some strange ritual. Ruins of Tordala - Little remains of this Highborne settlement but the name, what was once a sprawling township dedicated to knowledge lingers as wreckage split in half, much left in the sea thousands of years ago. That which remains is infested with pests and spirits of the past, driving away would-be plunderers. The Fractured Core - Also known as Tordala’s Heart, the Fractured Core is an exquisite crystalline cavern that many suspect to be the very reason Tordala was settled. With powerful, magical crystals humming and resonating here, it stands as a beautiful jewel amid the grim fate of the rest of the island. I’kuylan’s Betrayal - While little of the history of the Isle of Menhirs remains, there is one place that has a very clear history. I’kuylan’s betrayal is an unchanged, corrupted place of magic where the Highborne Wizard I’kuylan - along with those loyal to Queen Azshara, turned on the isolated people of Tordala. The outcome of the conflict is unknown, but no one was left on the island to tell anything beyond his unspeakable pact with the Burning Legion. Notes Aged and beautiful, the Isle of Menhirs is dotted with pale trees, tall rocky cliffs, and thick grasslands. It has a natural allure that even the danger and tragedy of the island can’t dispel. While no modern settlement has taken root, a camp of highborne and other adventurers have taken root here after the Shattering, hoping to unravel the history of the island and Tordala. The ruins of the Highborne city of Tordala stand to this day. While much of the city fell into the ocean thousands of years ago, some still remains, crumbling by the day. Aged ghosts, mutated wildlife, and wild magic haunt the island, making travel dangerous. The island is rich in resources, with both the ruins and the wilds holding plunder for anyone willing to risk the unseen dangers. Far above the sea, far above the peaks of Opej’Nor, far above the wings of the flapping gulls about Silver-Eye Island- Black Finger towers above them all. Carved from dark rock and standing over the Doldrums, it imposes itself as a grim monolith to an ancient dark architect. Crowning the dark obsidian, a spiked fortress rests, casting it’s long shadow over the dark seas below. There is no place more menacing or unnerving in all the Doldrums. Haunting on it’s own, the near-unapproachable pillar has only a few places where a ship might find purchase- with the main approach a debris littered beach where a ship and dock now lay in ruin. It is uncertain who or what such things were established, but the question come as the rise draws ever higher to an abandoned, eerie camp- with aged designs of yet another unknown force. This threatening place seems unnaturally quiet, the sea is calm, the waves are few, and the creak and groan of the rotting dock is muted. Few remain for long, stories of shadowy drifters in the night, people disappearing, and violent dreams seem to chase any mention of Black Finger. Most people say it’s best avoided. Major Characters The Masked Woman - No one knows her name, but everyone seems to know that the only person willing to go to Black Finger is a mysterious woman in black. She doesn’t talk details, she won’t ask for anything, but she is a traveler who ferries people between Kolai, Black Finger, and Opej’Nor. What else could you ask for? Notable Locations Nameless Port - Decidedly simple in design, the Nameless Port and the ruined ship and debris among them were burned down very recently. The wreckage and the crew are littered on the nearby shores as some garrish warning. Abandoned Camp - The ruined and neglected camp on the beaches leading up from the Nameless Port. The Abandoned Camp lays littered with half-done chores, skeletons, and wrecked bedding. It looks like the scene of an aged ambush. Darkstar Camp - Lingering near the long platform at the top of the singular rise near the Black finger, Darkstar Camp appears as some leftover of a slave market, a staging area, and a resting place. Although there is no formal presence as of late, most people would recommend not lingering long. It’s said the occupants of the camp are never far. The Black Fortress - Enigmatic and ancient, the Black Fortress sits atop Black Finger, looming high above the Doldrums. No one is known to have gone in or out, although some have tried. It stands as some miserable giant that casts an eerie shadow across the misty seas of the Doldrums. Notes Isolated and haunting, Black Finger is dominated by shards of obsidian, brackish sand, and dark waters. With only a single spot developed other than the Black Fortress, few places are accessible. A simple, sandy beach with signs of destruction and death. Resources are few, but it is said that much of the docks and the camp nearby are rich for salvage. It is rumored that the island suffered no damage from the Shattering whatsoever. SILVER-EYE ISLAND The Silver-Eye Island was an altogether uninteresting place, barren, rocky, and in a part of the sea that was not terribly easy to get to. Its use for material gain or as an island retreat were limited, but after it’s discovery some thirty years before the First War, it was eventually built up to be a Goblin outpost for ships passing from Kezan. It’s relative isolation from the rest of Azeroth saw it grow for those looking to deal in illicit goods or hideaway from the long arm of the law. Built up until late into the Second War, Silver-Eye Island eventually saw diminished use as the popularity of Zeppelins boomed. The decline of the ship traffic to the island gave a chance for the rise of gangs and turf wars on the small territory, this small scale war eventually saw two populist factions, the more formal Silverscale Company and the thuggish Gorgeous Boys. Silverscale Company was the last remnant of a local Venture Company branch, that took control of the front end business, happily controlling the docks that had not been destroyed in the conflict and much of the goods being sent to and from the island. Silverscale Company employs bruisers, a fleet of small ships, and a variety of merchants to staff the more ‘civilized’ parts of town while also granting a small cut to the Gorgeous Boys to keep a standing truce. The Gorgeous Boys who were little more than a collection of pirates and thieves, retreated more inland, to the back alleys and rises in the rocky crags. With less investment in morality, they regularly play a hand in stocking the arena bit, run slavery and gambling rings in the backstreets, and shakedown newcomers to the Silver-Eye Island. They keep the crime off the main streets and deal with any would-be criminal gangs that might affect the Silverscale Company or themselves. In the middle of their reorganization efforts, the island itself, amid it’s isolation, slowly found itself pulled into the Doldrums. This ever expanding region of Azeroth swallowed up Silver-Eye Island some twenty-one years after the First War. The change solidified Silverscale Company and the Gorgeous Boys hold on the island, cut off from outside power, any shipping they lost was replaced with local survivors, Sotoras, and shady travelers. The Shattering caused the island itself to drift once again, causing minor damage to the island itself, but little to those stranded there. While some buildings suffered, the main source of pain was the sudden destabilization of their main trading partner, the Tirasian colony of Sotoras, finding their economy stagnating, caused a rather tense situation among the residents. 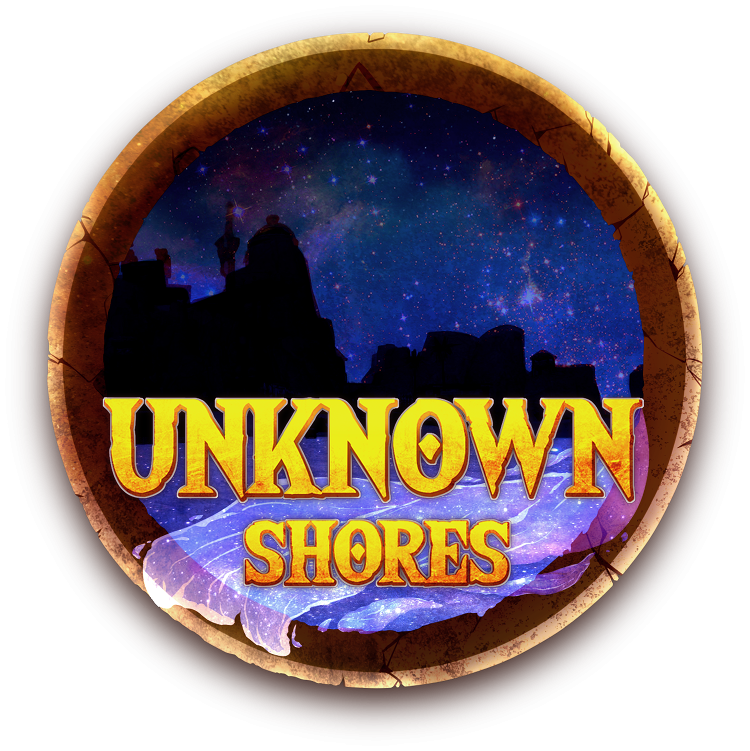 An influx of survivors of the cataclysmic events, as well as exiles from Kolai Island and Sotoras has meant much change for the lonely island. The future is uncertain. Major Characters Boss Hendle Silverscale - The leader of Silverscale Company since the gang fighting ended years ago. Formerly a Venture Company junior clerk, he gained his position mostly due to happenstance and good timing- coming upon a large amount of gold when the clerk’s office was blown apart. With that gold, he bribed, bought, and paid his way into the loyalty of many on the island, leading to his eventual perch in the executive mansion on Silver-Eye’s highest point. Restructuring his operation as the Silverscale Company, he employs a wide range of the islands residents, from the Gorgeous Boys, to dock workers, guards, clerks and so on ruling with a somewhat careless fist- more concerned with maintaining his position than the benevolence of his rule. Executive Cordine Dabbleblast - One of Hendle Silverscale’s friends in the clerk office before the change up, Cordine is a forgettable, greedy, short Goblin. He received the position mostly out of Hendle Silverscale’s need for management. Much of his life before involved short changing clients with the Venture Company, now, his day to day involves spending Silverscale profits on local luxuries and good company. Rumor has it, Cordine’s days are numbered since he’s been found to be spending company money. Executive Gash Sputtercrank - A Venture Company Bruiser who bullied his way into the position after Hendle Silverscale’s takeover of the island, Gash is a competent, brutal, and clever Goblin. He does not speak of his life before, but with his wits and muscle, most peg him for an ex-convict of some stripe. His work with the Silverscale Company is very effective, primarily working with Sotoras and the Gorgeous Boys. The Boss doesn’t bother Gash. Executive Norina Glitz - Previously a waitress, now an executive, Norina got in good with Hendle Silverscale prior to the takeover and has been living as an executive since. Her business dealings are never great, but she’s said to be the most personable of the executives and mostly does what Hendle Silverscale asks of her. Fen Kettleclang - The owner of the Silverscale Inn and business partner to the Silverscale Company, he’s owned the inn for nearly thirty years. There is little to be said for him other than his unscrupulous nature, interested in moving people through and leaving their coin behind. To his credit, he lacks the brutality of the Gorgeous Boys, but those looking to squat won’t get in his good graces. Loka Killclaw - Operator of the Silverscale Arena, she is a leftover from Captain Opej Ogrecrush’s crew. A brutal combatant, she won the rights to the arena in a wager with Boss Hendle Silverscale- where she now overseers the daily battles and events. She’s a curt woman, strong but quiet. Henry the Gorgeous - Leader of the Gorgeous Boys, he’s a big, mean, green goblin. Rather taken with his own vanity, he lives a life of pleasures grifted from the Silverscale Company and the residents of the island. Brutal when defied and kind when everything goes his way, Henry treats the island like his own personal garden, keeping out pests, pruning weeds, and cultivating what he wants to see grow. Beautiful Beatdown Ben - Second in command of the Gorgeous Boys, Benjamin Fuller is a soft spoken ex-soldier from a faraway land. He rarely discusses his personal affairs, but he’s seen as the more approachable of the two in charge of the Silverscale Company- but those that have got a mark on their head from the Gorgeous Boys should be wary of this swordsman. Lady Abigaille Springfield - The daughter of Lord Beauregard Springfield II, current leader of the people of Sotoras. Lady Springfield has taken up the charge of leading the refugees of Sotoras in the Springfield Holdings on Silver-Eye. An altogether pleasant woman, her relative naivety is aided by a cadre of advisors and soldiers leftover from their escape from their island home. Chief Urdo - Former leader of the Razorbranch of Kolai Isle, now lives in exile and leads Urdo’s Exiles. While he was once a rather brutal and sadistic warlord, time softened his heart and the Shattering turned him further. His supposed weakness saw him ousted from dominion of the nearby Kolai Island, he now lives among refugees on Silver-Eye Island, attempting to rally those sympathetic to take back his throne. Notable Locations Silver-Eye Main Port - No doubt the first thing most people see of Silver-Eye Island, the main port, and the only one remaining after the Shattering. Located on the Western side of Silver-Eye Island, it’s home to several ships, ferrymen, and the Silverscale offices and holdings. Goods, slaves, and livestock all pass through the the main port in varying states before being shipped elsewhere or used across the island. The deals are never great, but there is no other place in the Doldrums where you can find so much. Silverscale Inn - The first stop for many after a long voyage into the inhospitable Doldrums, the Silverscale Inn rests on the Eastern side of the Island, looking to the nearby Arena. One of the few places not jammed full of refugees on Silver-Eye, the inn is a place of competitively priced alcohol and private rooms if you’ve got the coin. Most people tend to use the cheaper open areas while they wait for the next arena match. Silverscale Arena - One of the main draws of the island, the Silverscale Arena is as old as the island itself, where mortal, beast, and steel all meet. Popular among all who regular Silver-Eye, there is room for all to watch the battles and earn coin in or out of the pit. Silverscale Executive Mansion - Overlooking the entirety of Silver-Eye Island from the rocky outlook above, the Executive Mansion houses Boss Hendel Silverscale and his executives. Isolated form the happenings below, the Silverscale company still keeps a heavy thumb on the residents of the island below, through social, economic, and physical force. Few get to see the refined grounds. Springfield Family Holdings - A small part of Southern Silver-Eye Island, the Springfield holdings suffered much damage amid the shattering. Despite the damages, Lady Abigaile Springfield and those loyal to her fled here after the scourging of Sotoras. They wait here now, repairing the damaged houses and planning their future in these uncertain times. Refugee Camp - Located on the Northeastern part of the island, this camp was once a storage and holding area for the second port on Silver-Eye Island. When the port was destroyed during the shattering, it’s disuse saw rise to a tent village where many of those now trapped in the Doldrums now find refuge. Among them are Chief Urdo and his exiles. Gorgeous Boy Holdings - clustered around the inner rise of Silver-Eye, Henry the Gorgeous and his Gorgeous Boys have fenced off a private area where they can get up to their usual dealings and make plans. They protect the interests of the Silverscale Company and its main lift to the Executive Mansion, while doling out justice around town- their holdings are still rather dour. Market Row - Just past the Arena and the Inn can be found the Market Row, the Row is home to many small shops, houses, and back alleys. Principally owned by the ‘Middle Class’ of Silver-Eye, Market Row represents the closest thing to comfortable living on the island. Notes Mostly sand and rock, little plant life can grow here meaning most food and building material came from outside the island, same for food. The central island is marked by a rise of harsh stone, with smaller rocks littered throughout. Many of the original buildings are well constructed and sturdy, but the rising population and the turf wars led to many ramshackle buildings, scaffolding rises, and tents to be erected in the city. There are signs of destruction in the city, ruined docks, buildings, and so on, much of this caused by the Shattering. While there are efforts to rebuild, the influx of refugees and survivors has put a strain on resources. Very little in terms of gatherable resources, save for fish.